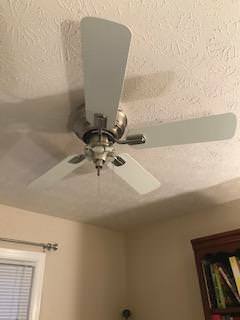 I have two, small, white Hampton Bay ceiling fans, whose lights wont turn on via the pull chain. 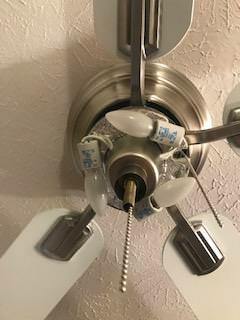 The ceiling fans were installed prior to my purchase and I wasn't given the owners manual. I removed the fan blades but am still unable to find the model number or UPC on top of the motor housing. Is there an alternative? 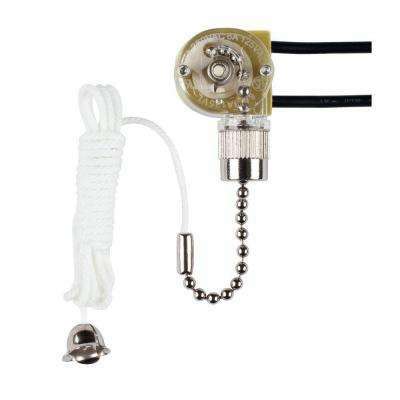 Your Hampton Bay fans not working at the pull chain for the lights should be an easy fix. Assuming there is no remote control/receiver on these, it could come down to it being a simple replacement for the switches. If you believe all the wiring was done correctly from the wall switch to the fans and they are not remote controlled in any way, then the usual solution (if you've already checked the light bulbs and are dimmable AND IF the dimmer you use on them is rated for the bulbs) would be just to replace the switches themselves. 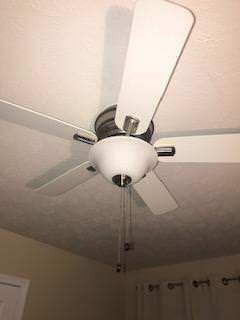 After turning off the power to the light kit, you can disassemble it without taking down the fan and replace the light kit switch in the fan. It's usually a straight-forward 2 wire replacement, in the same manner that the existing ones are set up for. We sell these at your local Home Depot store, and are usually under 4 dollars. 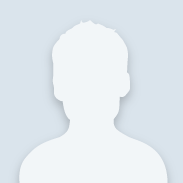 As another option, you can always opt to contact Hampton Bay directly. You'll need to obtain the UPC/Model number/SKU number of your fan. 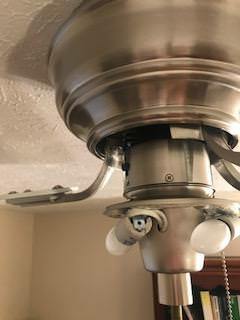 Since you have a flush mounted ceiling fan, you'll unfortunately need to take the fan down safely and read the make of the fan from the inside of the motor housing canopy cover. Next, you'll contact them directly with the number provided below. While this option is more time consuming, I would recommend to replace the light kit switch first. But also first make sure proper voltage (wiring) is going through the fan via its switch or dimmer, and that the fan is not on a remote control. Let us know if you have any further questions regarding troubleshooting your Hampton Bay fan.